Wow. What a Wrestlemania. So the Undertaker retires by losing match against Roman Reigns last night? I notice some wrestling fans are disappointed and angry with that but hey, I actually loved that! Undertaker retires in style! It’s just his way of going out with a bang. That’s going out on a positive note. 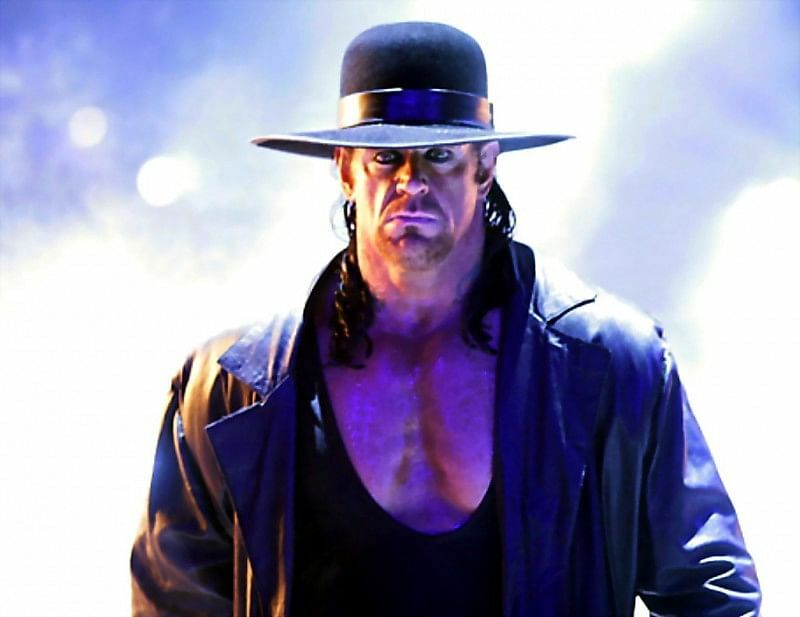 I’m sure the Undertaker himself only chooses of who he loses matches to. It was his decision to lose Wrestlemania streak to Brock Lesnar and now it’s his decision to lose his final match to Roman Reigns. It was a great match, though! Undertaker matches are always thrilling and exciting. Last night, I grew more respect to Roman Reigns even more as he is my favorite wrestler now. A lot of wrestling fans are going, why does ‘Taker’s final match have to be against someone like Roman Reigns instead of another well known icon like Kane? Ya know, I think it was a smart move that ‘Taker would lose his final match to a new superstar we don’t know much about. ‘Taker just helped Roman Reigns get the opportunity of a lifetime. Give someone else a chance for the spotlight and recognition. I’m tired of all these old stars hogging the spotlight and it’s about giving someone new and young a chance. I’m willing to bet that it was ‘Taker’s decision to lose his final match to Roman Reigns (not Vince McMahon’s decision), that is what he wanted. It’s a smart move to lose your final match. Maybe ‘Taker himself respects the hell out of Roman Reigns and wanted to help him boost his career some? Anyways, I know a lot of wrestling fans are disappointed and sad that this is Undertaker’s last match but it doesn’t surprise me. An Undertaker retirement was bound to happen anyways. I mean, Mark Calloway is 52 years old and I’m pretty sure his body can’t take it anymore since he is aging. On top of that, Undertaker just had major hip replacement surgery earlier this year and that’s another reason for him calling it quits. His body can’t take it anymore ’cause he had a 26 year career in the business. Plus, Undertaker is a family man as he is married to Michelle McCool (former WWE Diva) and they have a daughter together. One powerful moment after Undertaker’s match got over with, he took off his wrestling gear and left it in the middle of the ring. After that, he celebrated his retirement and career with his fans then he gave his wife a kiss at ringside. Undertaker went totally out of character after the match which was amazing. Anyway, on with the rest of Wrestlemania… it was a great show except the only match I didn’t care for at all was Randy Orton vs. Bray Wyatt. That match was pretty boring. It was also strange and very bizarre. I was hoping the match would be a lot better than that but it turned out to be pretty stupid. I thought the best matches of the night were AJ Styles vs. Shane McMahon, a lot of high flying stuff as you would expect. Very entertaining match. Chris Jericho vs. Kevin Owens was great but I was hoping that Jericho would win and retain but of course, Jericho loses again. The Fatal 4 Way RAW Women’s championship was awesome and I’m glad Bayley won. I think you’re going to see Bayley as women’s champion for a long while ’cause she’s getting really popular I see. She’s my favorite too. The Best thing that happened last night at WM was the Hardy Boys coming back. No superstars from the past returned except for the Hardys, Matt and Jeff. The iconic tag team. The most talented high flyers of all time! I love Matt and Jeff. They’re my favorite as well. Looks like the Hardy Boys are back in a full time run now they are tag team champions. Hope the Hardy’s stick around for a long while. Matt and Jeff were looking good last night as they were looking clean and healthy (both had a problem with drugs over the years). That’s probably why they finally returned to WWE ’cause WWE saw they got themselves clean and healthy. In the ring, the Hardy Boys still got it after all these years, they killed that match. It was amazing. One of the best ladder matches I’ve seen in a long time! As far as the John Cena and Nikki in-ring proposal goes, that was pretty cool as it does bring back memories of the Macho Man and Miss Elizabeth love story. Triple H vs. Seth Rollins was good and I’m glad Seth won. Lesnar vs. Goldberg was okay but predictably another short match. Goldberg matches always seem to be a short match, not sure why. Maybe it’s his age maybe? One thing I find strange about last night’s show, was that they didn’t do any entertaining backstage segments at all. They usually do that every year too but they didn’t this year. Each year at WM they usually have a bunch of wrestling legends doing silly things and then Ron Simmons comes up and does his usual, “Damn” catchphrase but they didn’t do that this year. Like they didn’t have time for that this year. It was a really good Wrestlemania. Other than the Hardy Boys returning, no other superstars from the past returned. No Hogan. No Sting. I’m sure those two guys will return soon, though. Not the best Wrestlemania but I’ve seen better.